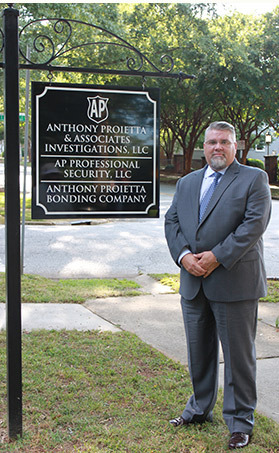 The Charleston, South Carolina office for Anthony Proietta & Associates Investigations, INC is headed by Tim Moore, a 10-year veteran of law enforcement with extensive experience gained through diversity from serving his country and community. For more information about Tim, please visit the Myrtle Beach office information. Contact the Charleston office directly at 843-957-4798 for information regarding investigative services in Charleston or the lowcountry of South Carolina.